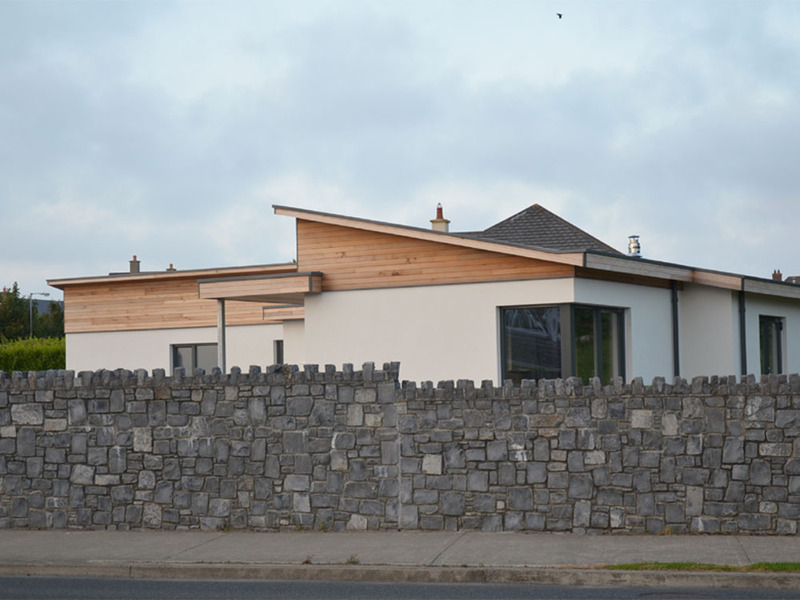 To create a compact energy efficient dwelling was our mission for this project. 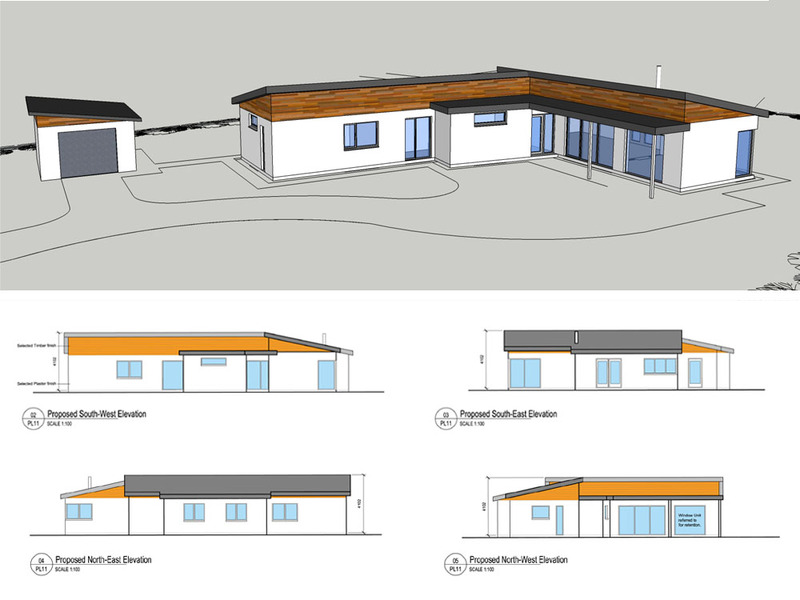 The L-shaped dwelling consists of an open plan kitchen/living & dining area with 3no. 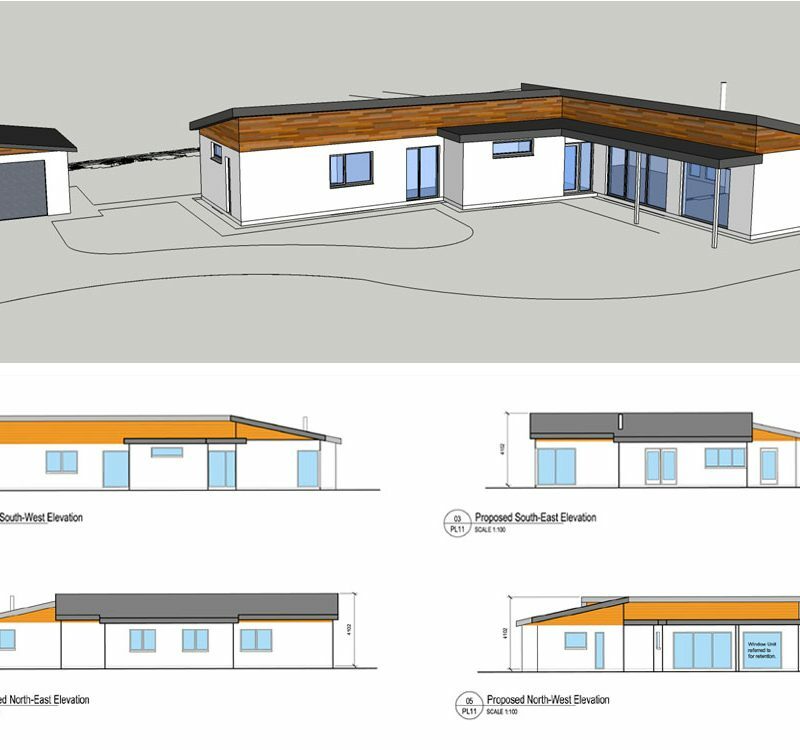 bedrooms en-suite, wardrobe, utility & main bathroom, all for less than 1500sqft. 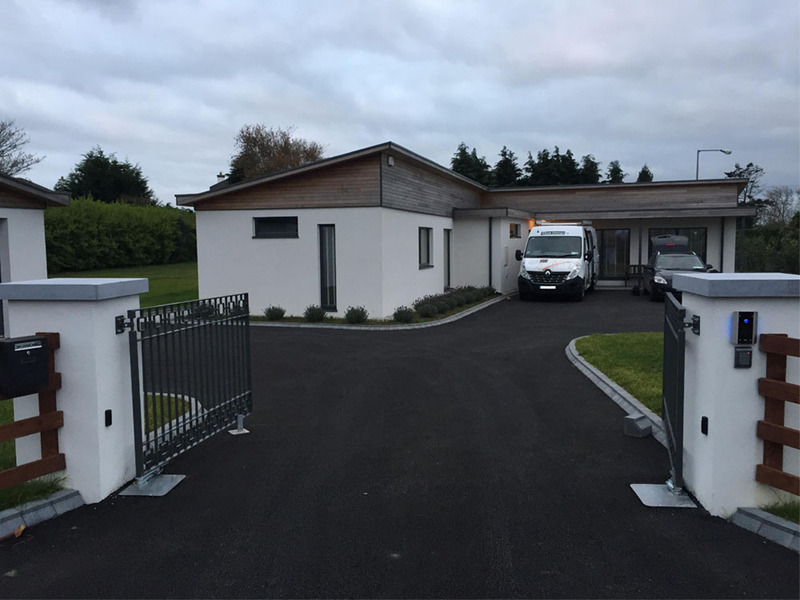 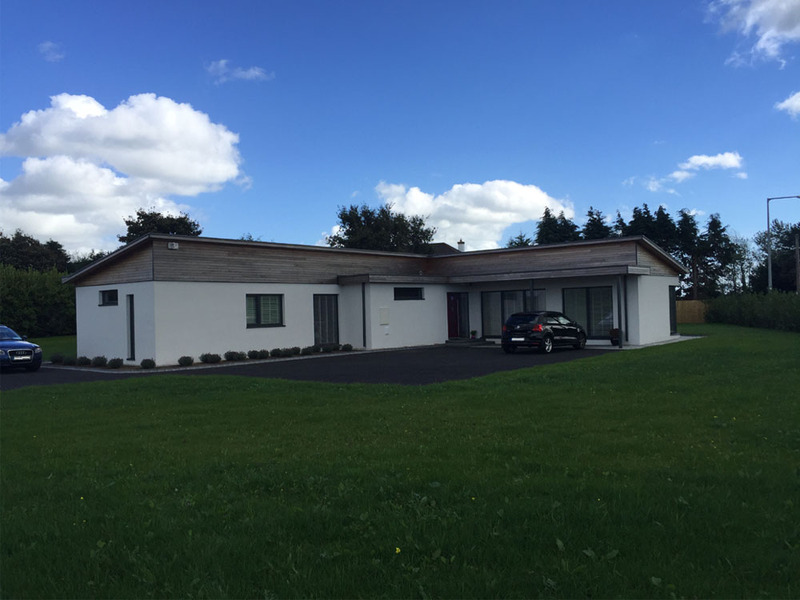 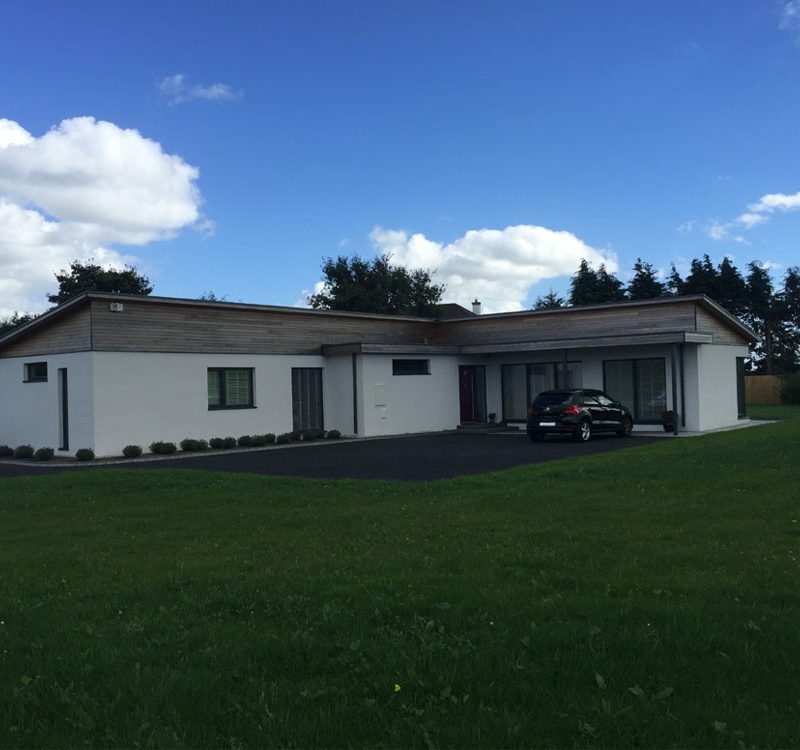 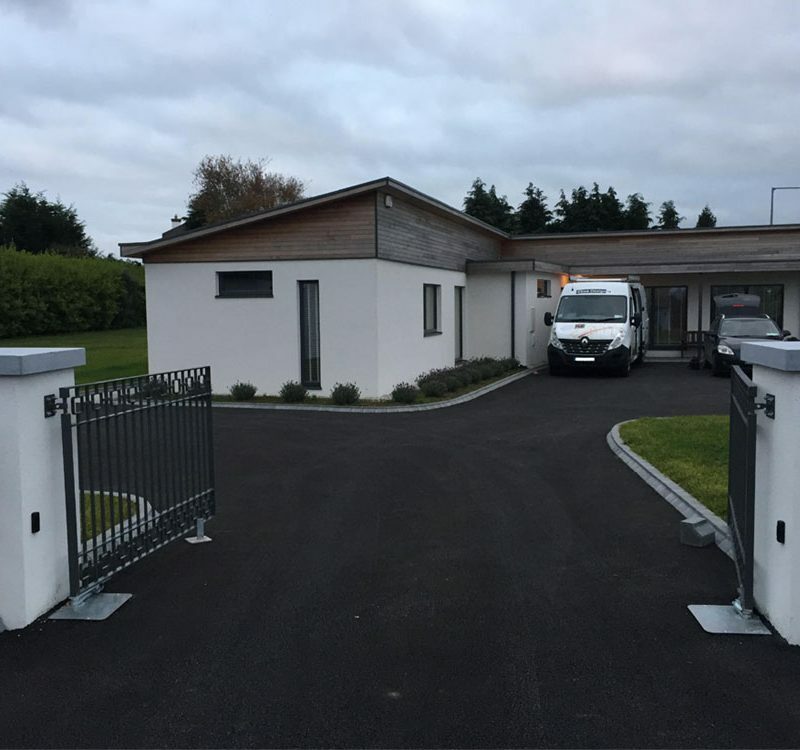 The house was constructed using a passive floor slab system, externally insulated pre-cast walls & triple glazed alu-clad windows/doors. 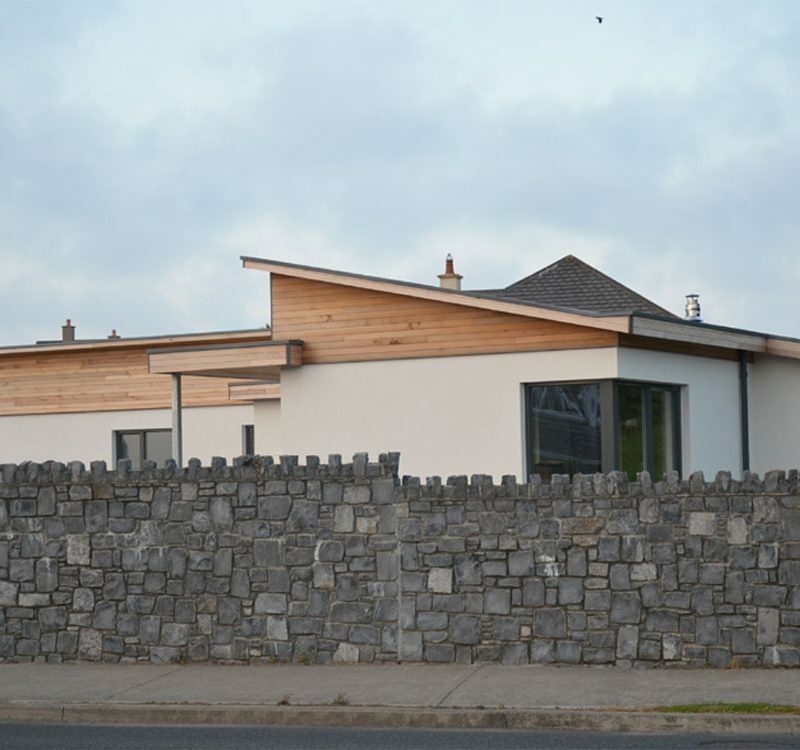 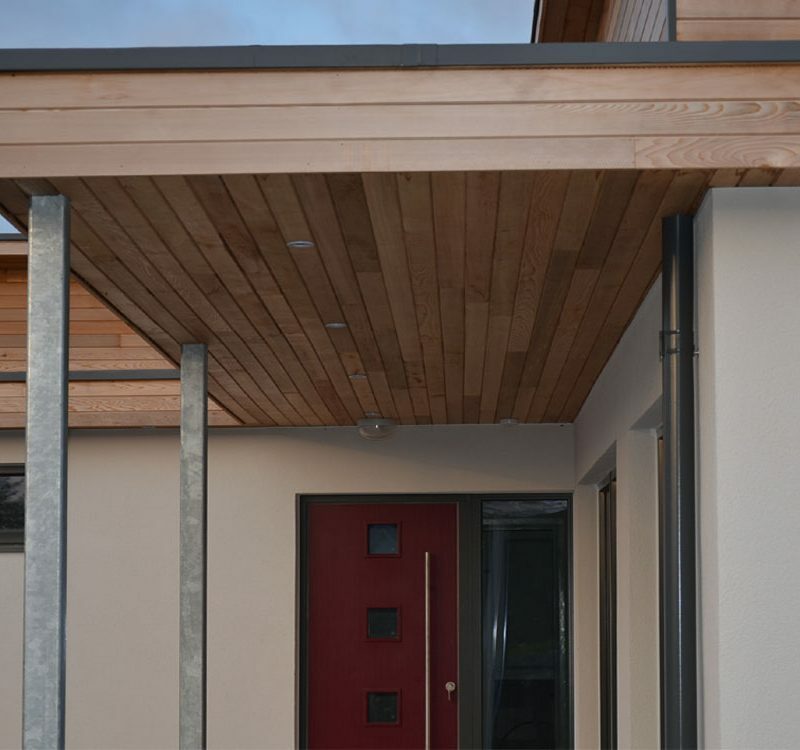 The U-Values of the building fabric elements achieve passive house standard while the air to water heat pump ensures a constant supply of hot water and a constant internal temperature of 20 degrees. 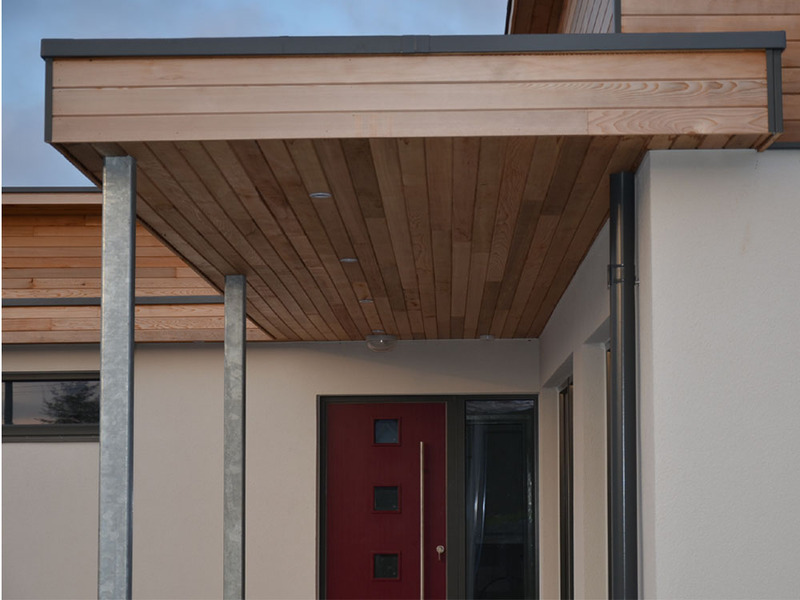 The white walls with cedar cladding and low profile mono-pitched roofs evoke a modest contemporary dwelling.